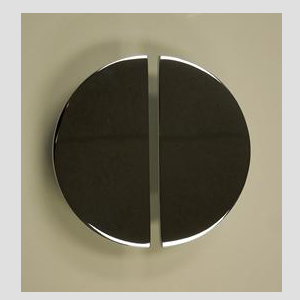 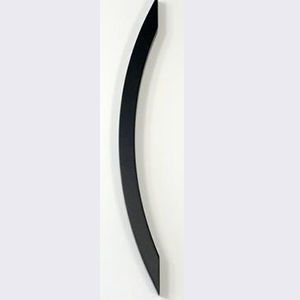 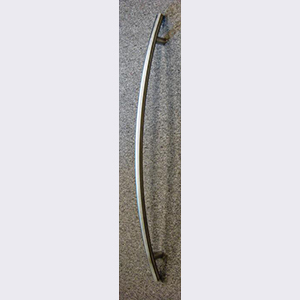 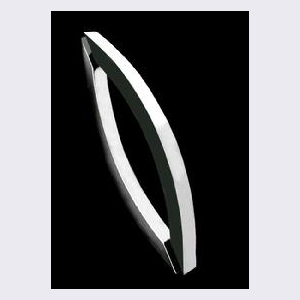 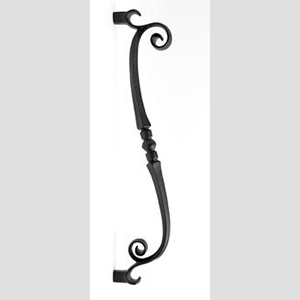 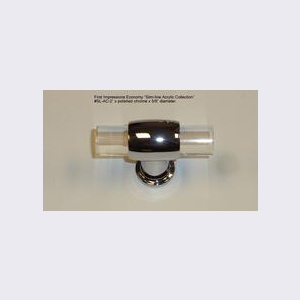 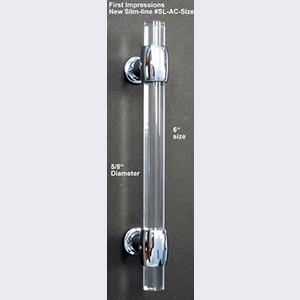 #11DA CHROME PULL 24" X 1 1/2"
MODEL #3200 BLACK 19 5/8" CURVED DOOR PULL. 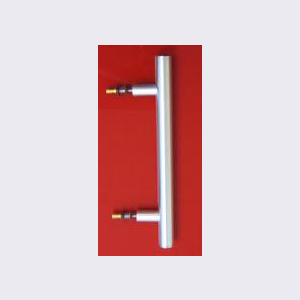 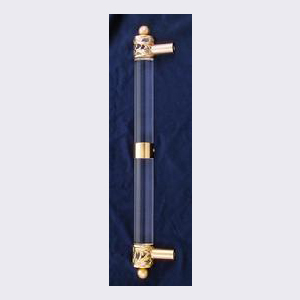 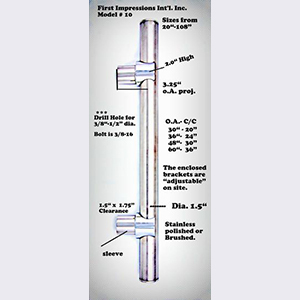 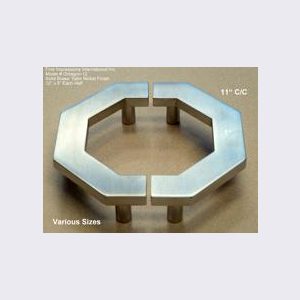 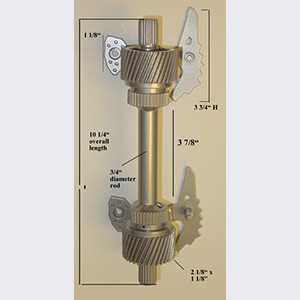 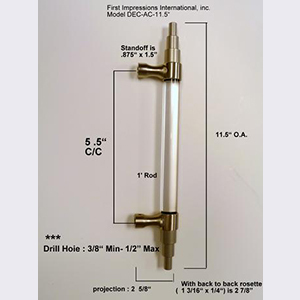 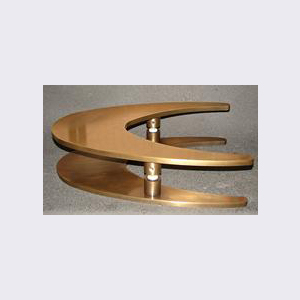 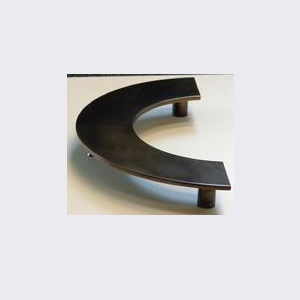 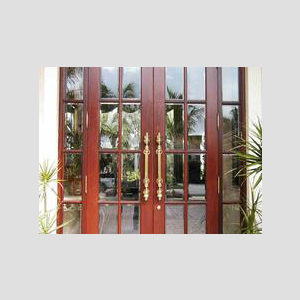 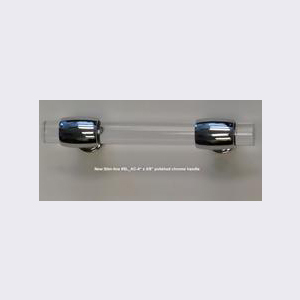 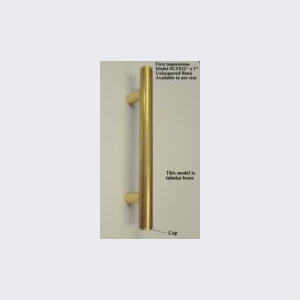 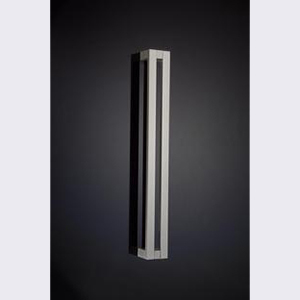 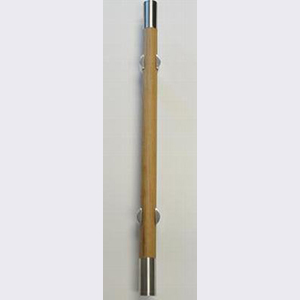 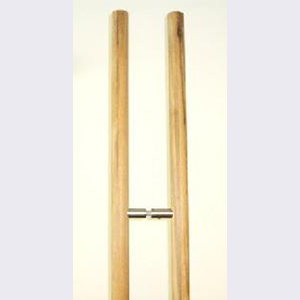 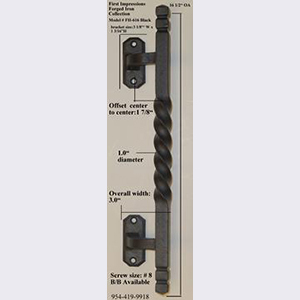 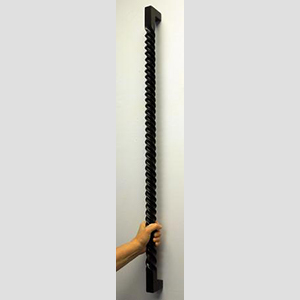 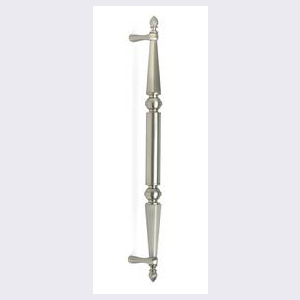 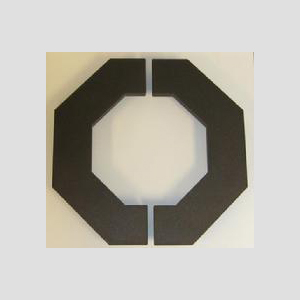 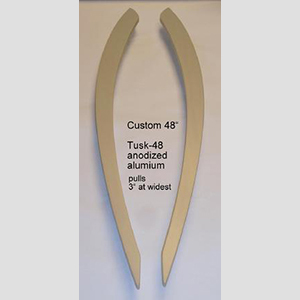 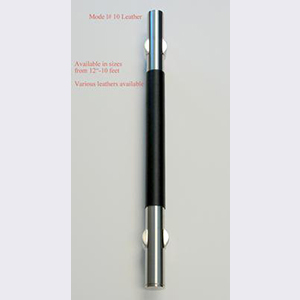 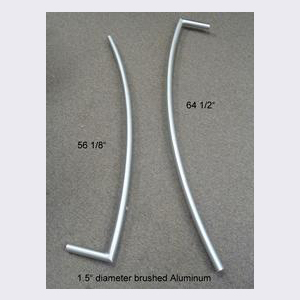 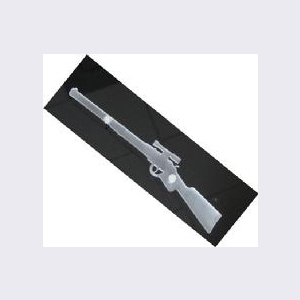 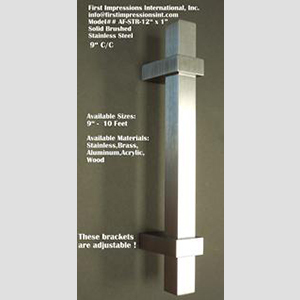 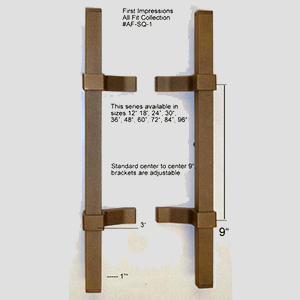 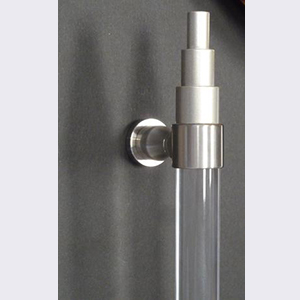 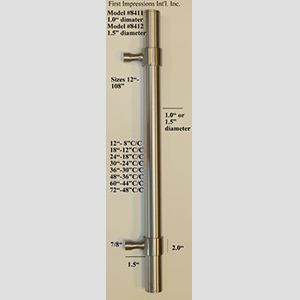 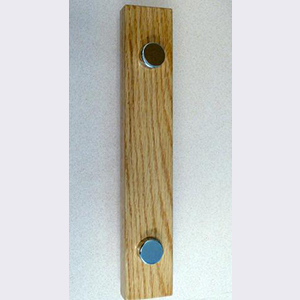 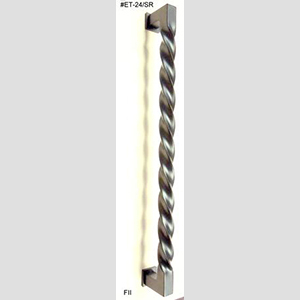 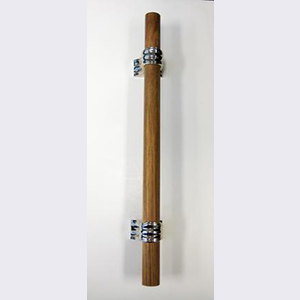 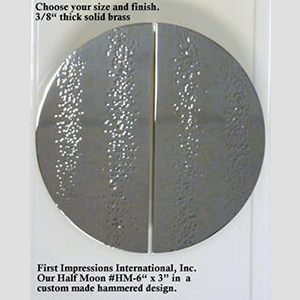 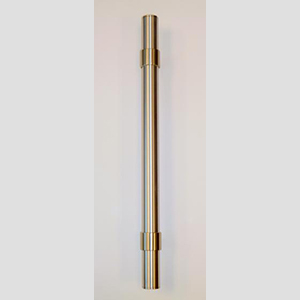 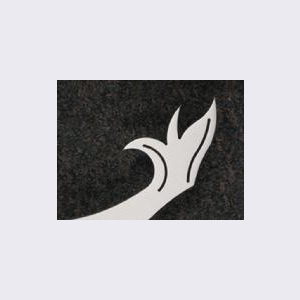 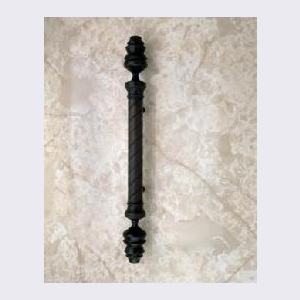 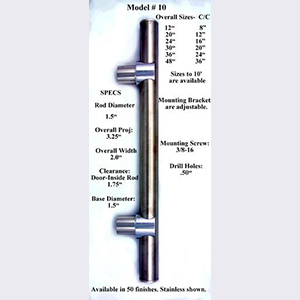 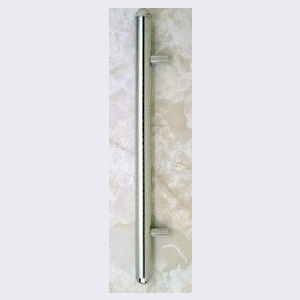 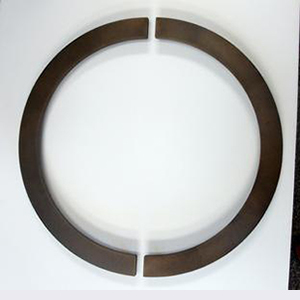 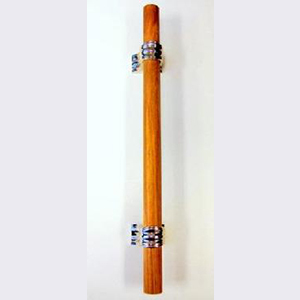 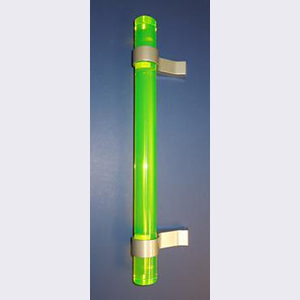 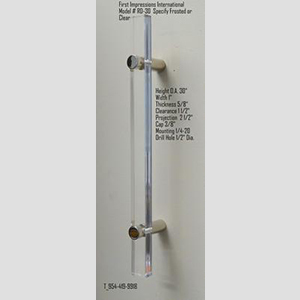 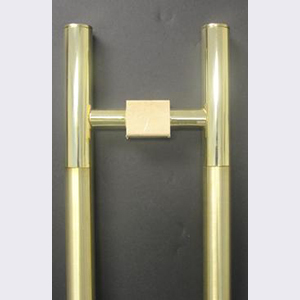 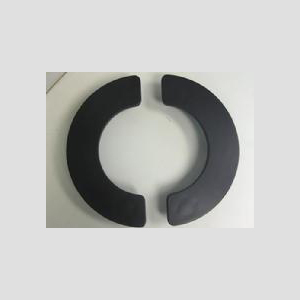 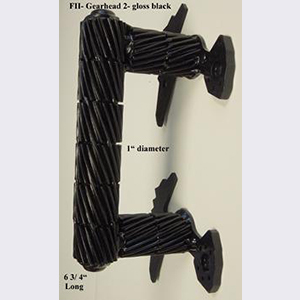 THE HM- 1.5" X 48" IS AVAILABLE IN VARIOUS LENGTHS AND DIAMETERS. 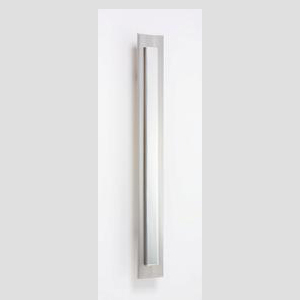 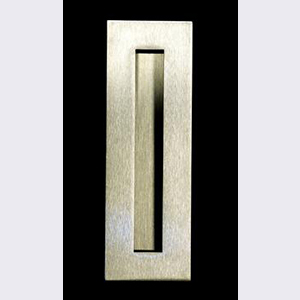 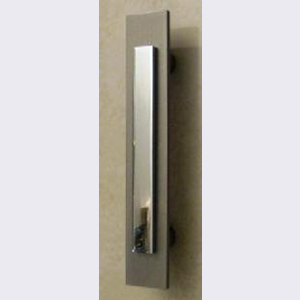 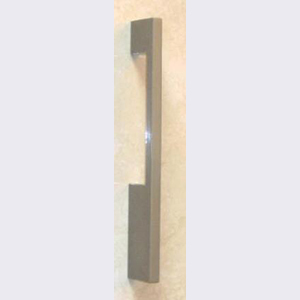 #3240 1# X 12# PULL SHOWN IN BRUSHED NICKEL. 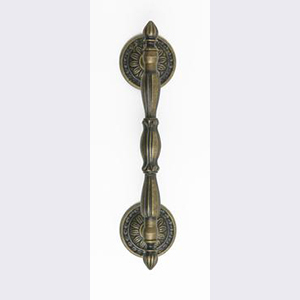 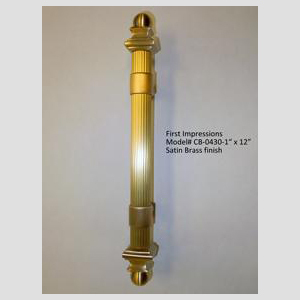 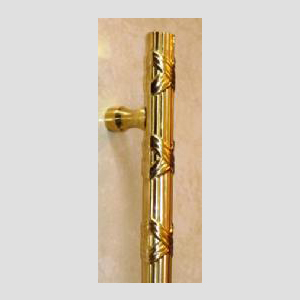 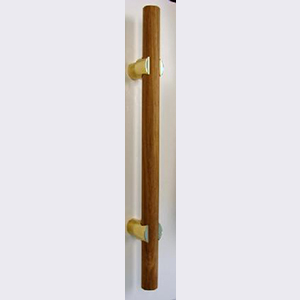 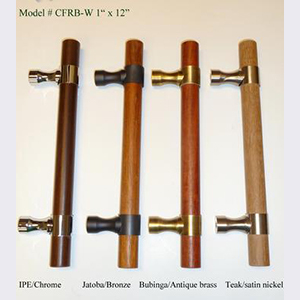 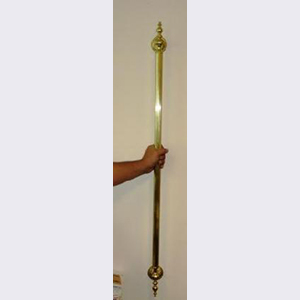 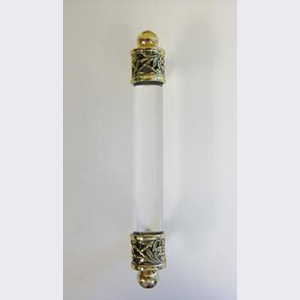 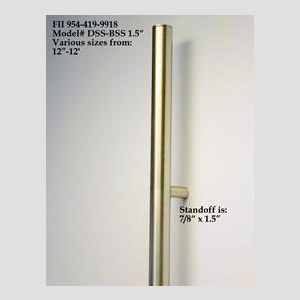 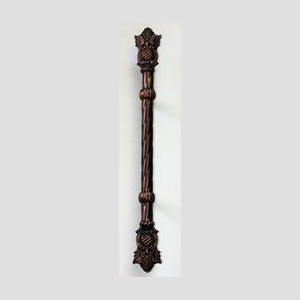 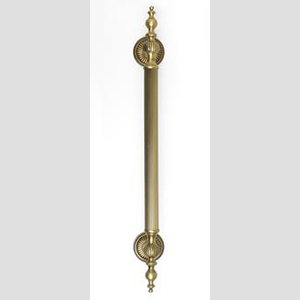 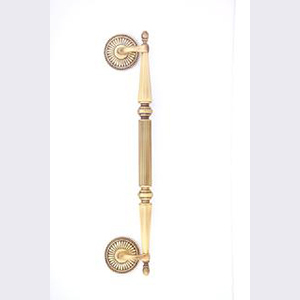 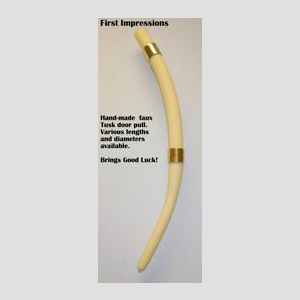 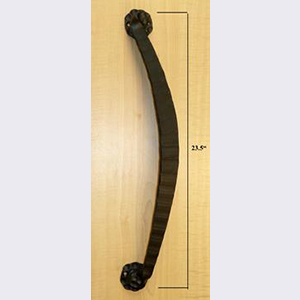 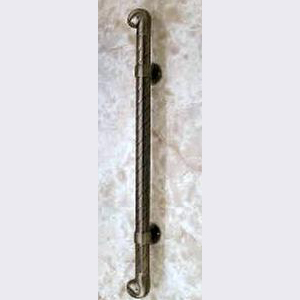 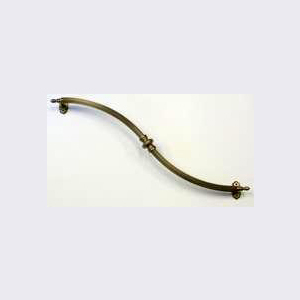 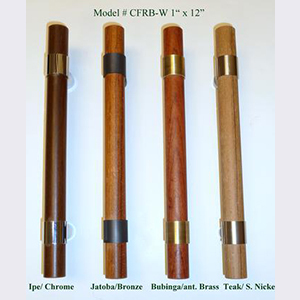 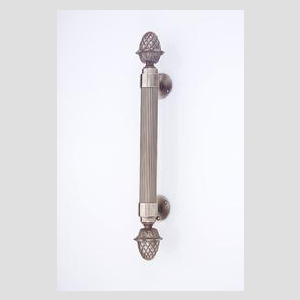 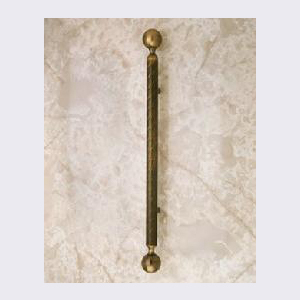 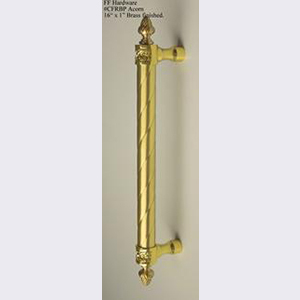 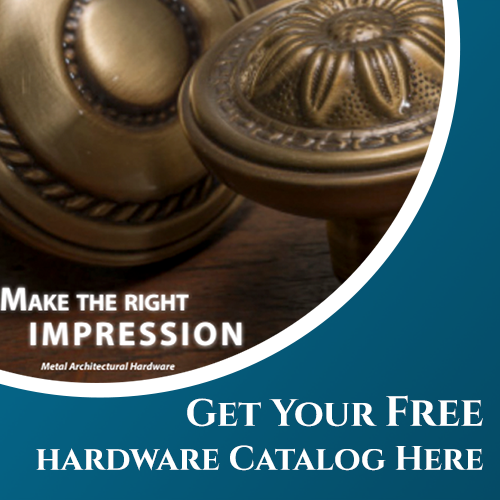 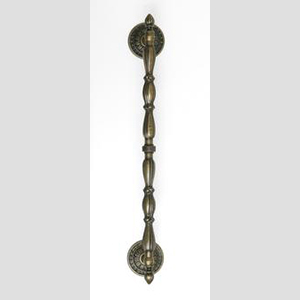 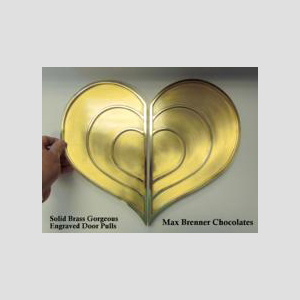 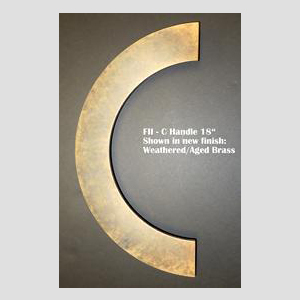 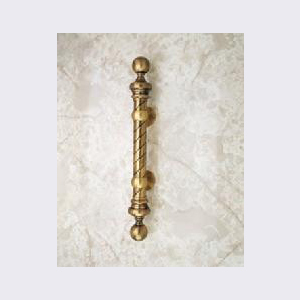 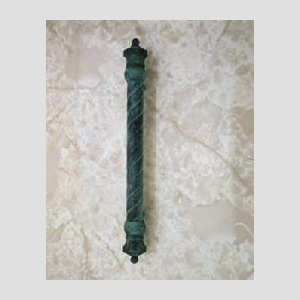 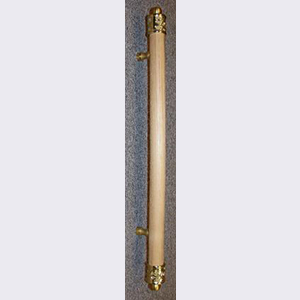 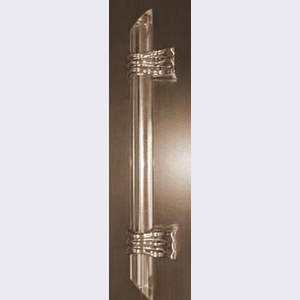 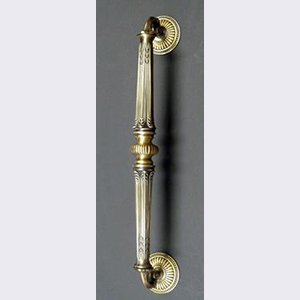 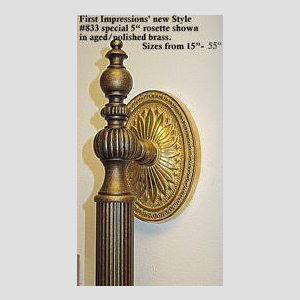 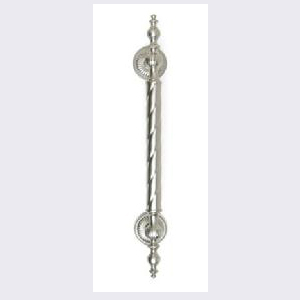 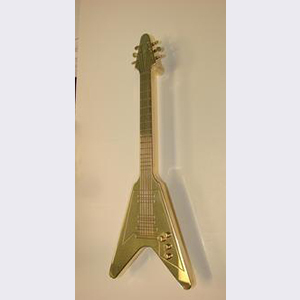 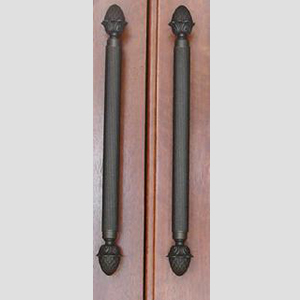 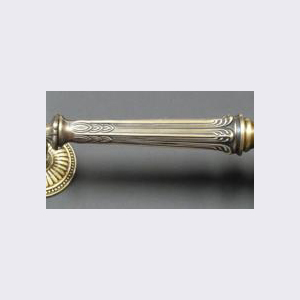 # 15 A ANTIQUE BRASS ORNATE LARGE PULL 28"
COMMERCIAL HANDLE #CFRB_ADJ-1.5 SATIN NICKEL X 24"
# 14 DA VERDE FINISH ROPE PULL 2" X 28"
CUSTOM MADE GUITAR PULLS SPLIT IN HALF 18' HIGH WE WILL CUSTOMIZE ANY IDEA YOU HAVE TO OPEN ANY DOOR YOU HAVE. 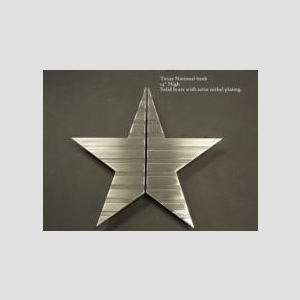 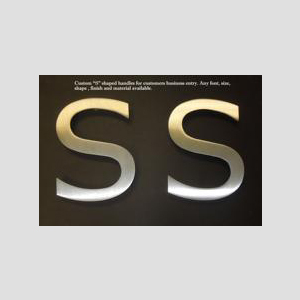 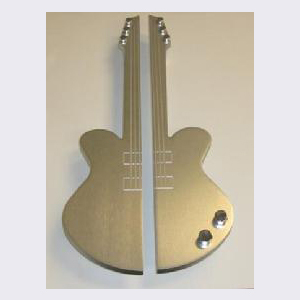 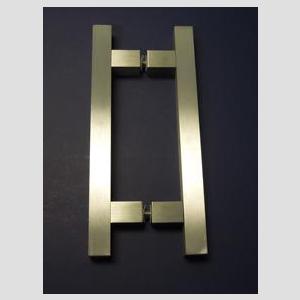 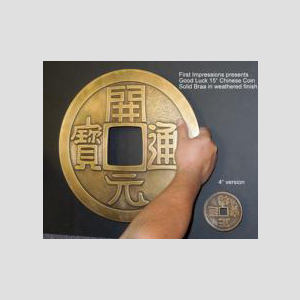 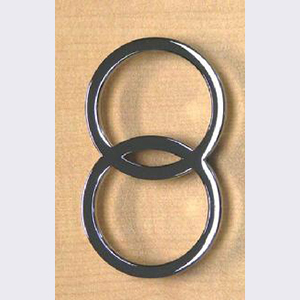 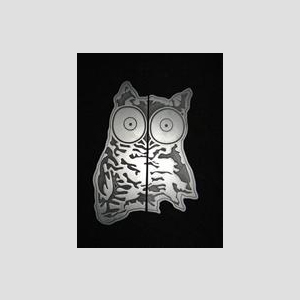 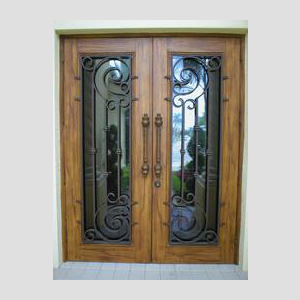 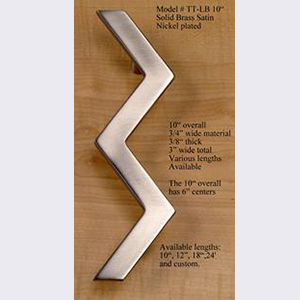 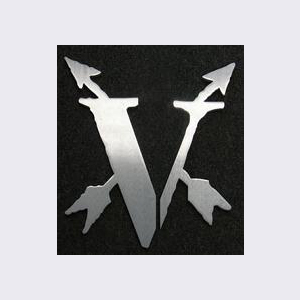 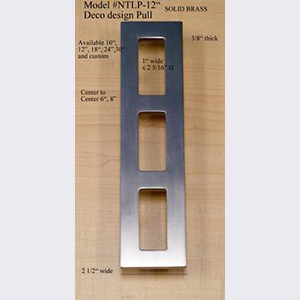 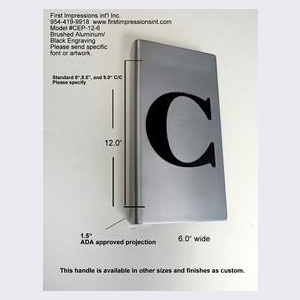 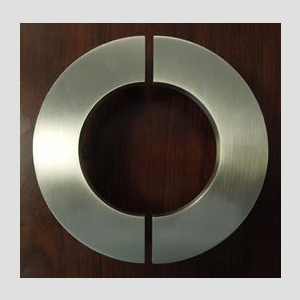 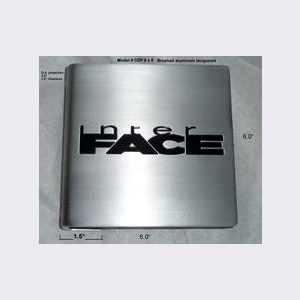 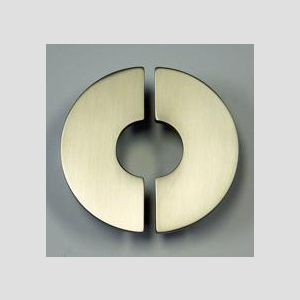 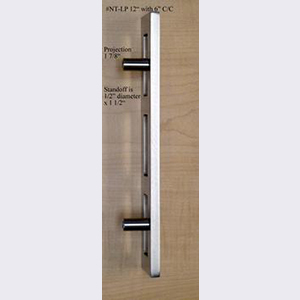 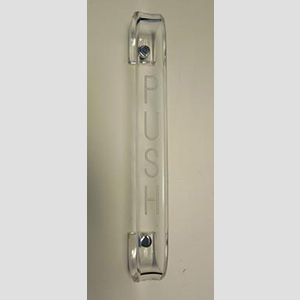 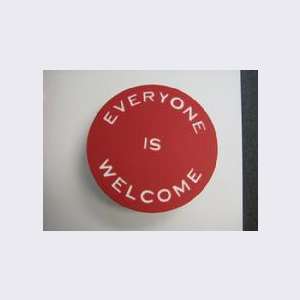 #CEP-12 X 6, CUSTOM ENGRAVED ALUMINUM PULL, ANY LOGO OR NAME AVAILABLE WHICH FITS INTO EXISTING DOOR HOLES. 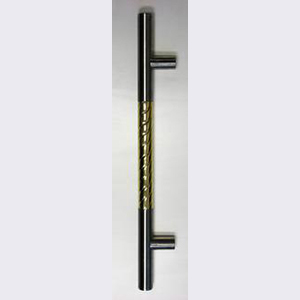 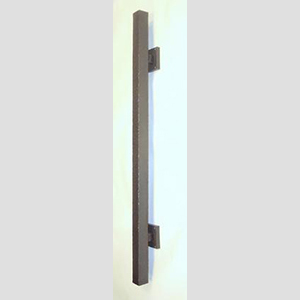 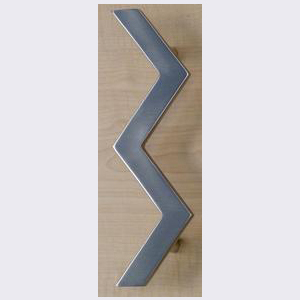 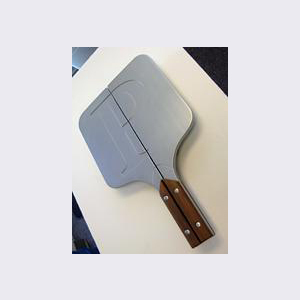 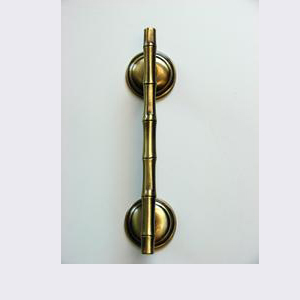 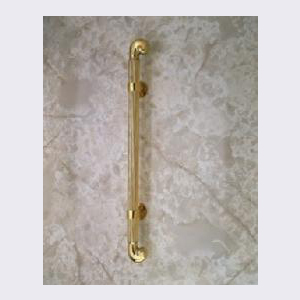 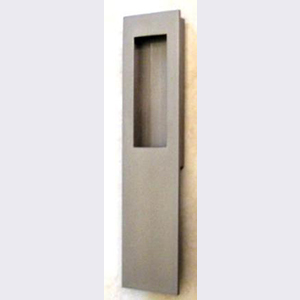 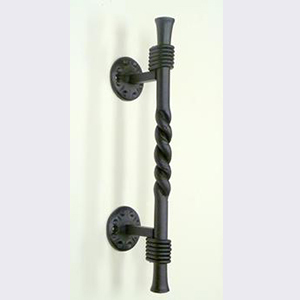 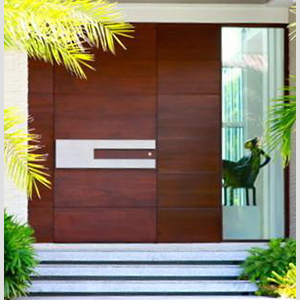 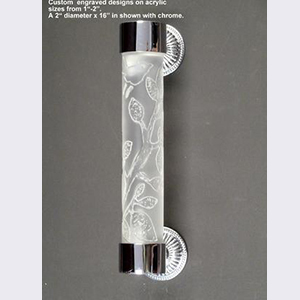 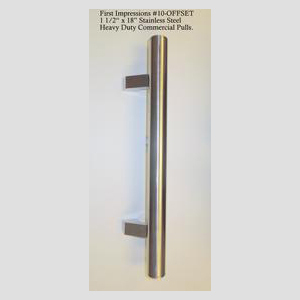 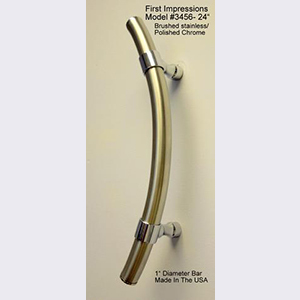 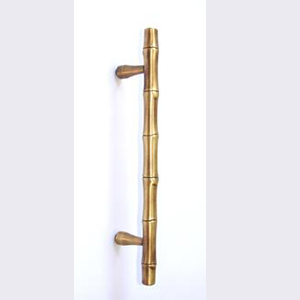 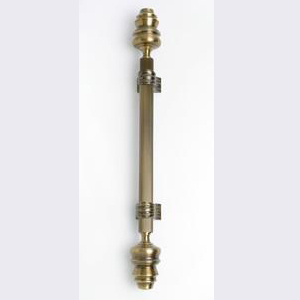 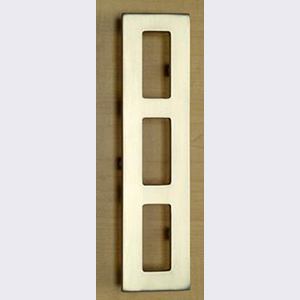 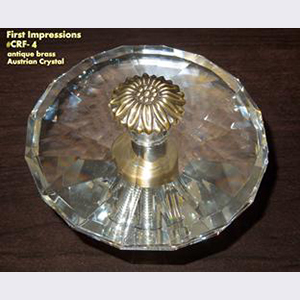 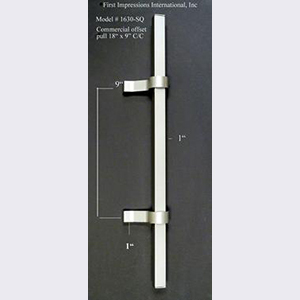 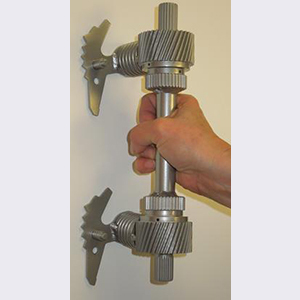 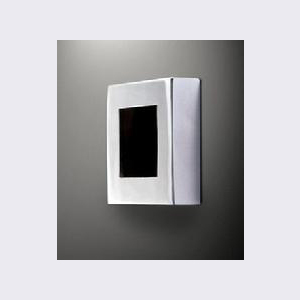 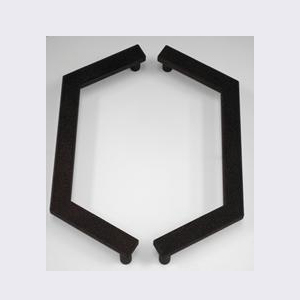 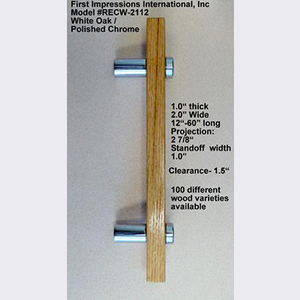 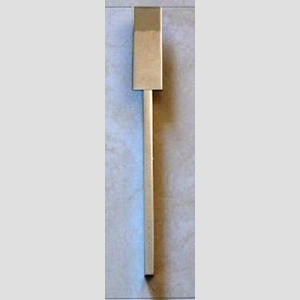 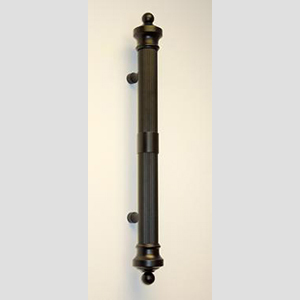 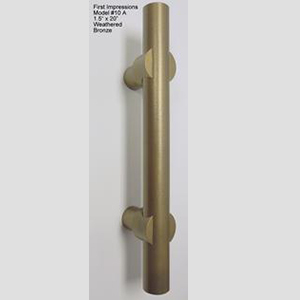 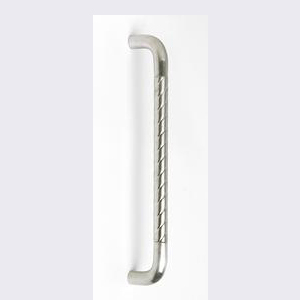 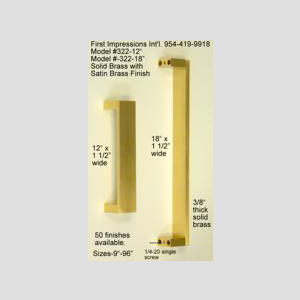 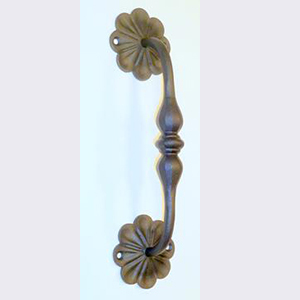 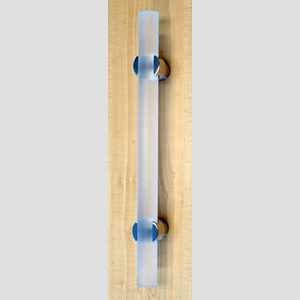 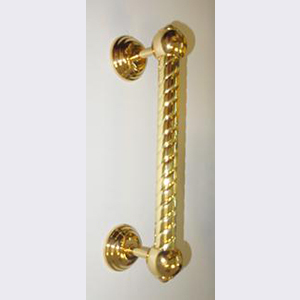 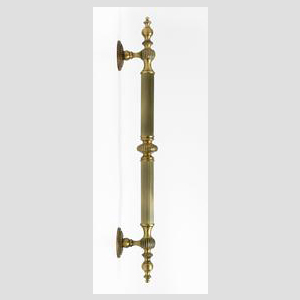 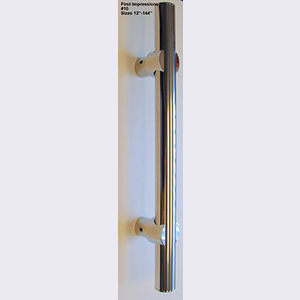 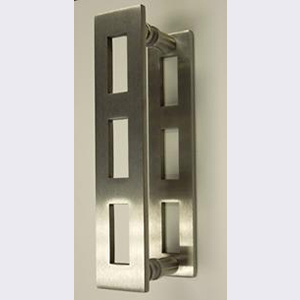 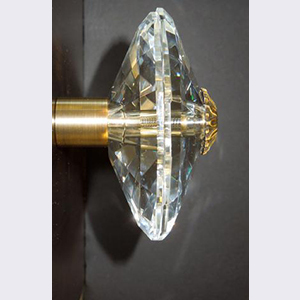 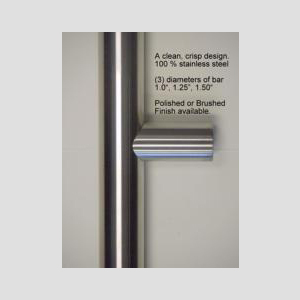 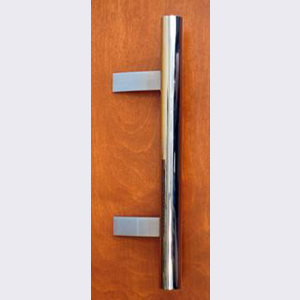 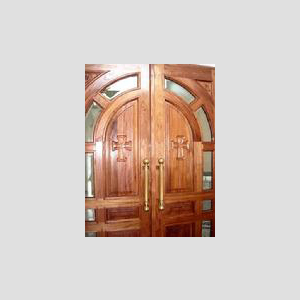 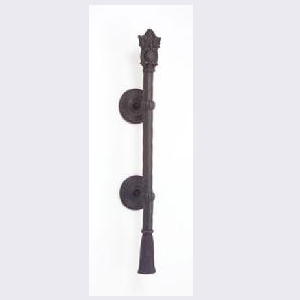 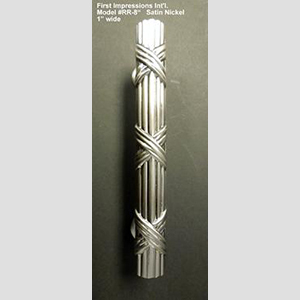 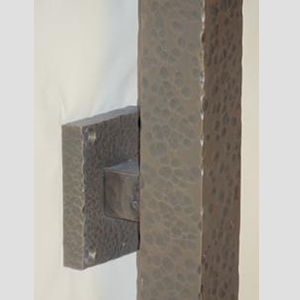 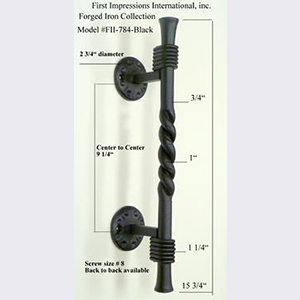 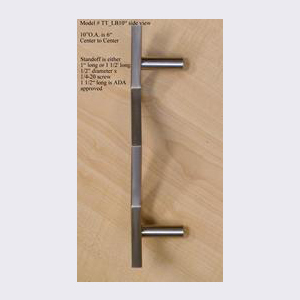 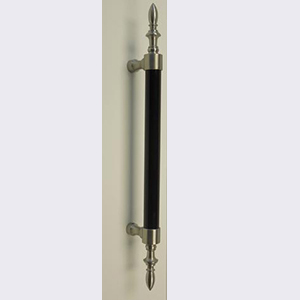 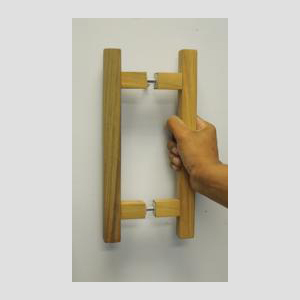 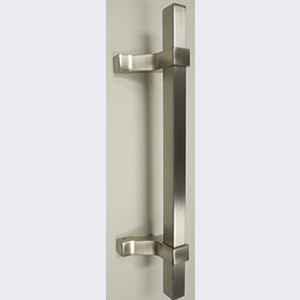 FIRST IMPRESSIONS DOOR PULL #BMF4EJ-36Â€ X 15Â€ X 3/8" THICK ON A "BORANO" DOOR.